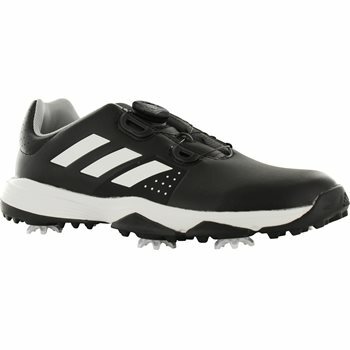 GlobalGolf / Junior's Shoes / Golf Shoe / Adidas / adiPower BOA Jr. The Adidas adiPower BOA Jr. golf shoe is constructed with full length Bounce foam and a synthetic upper with ClimaStorm water-resistant protection for powerful performance and durability. 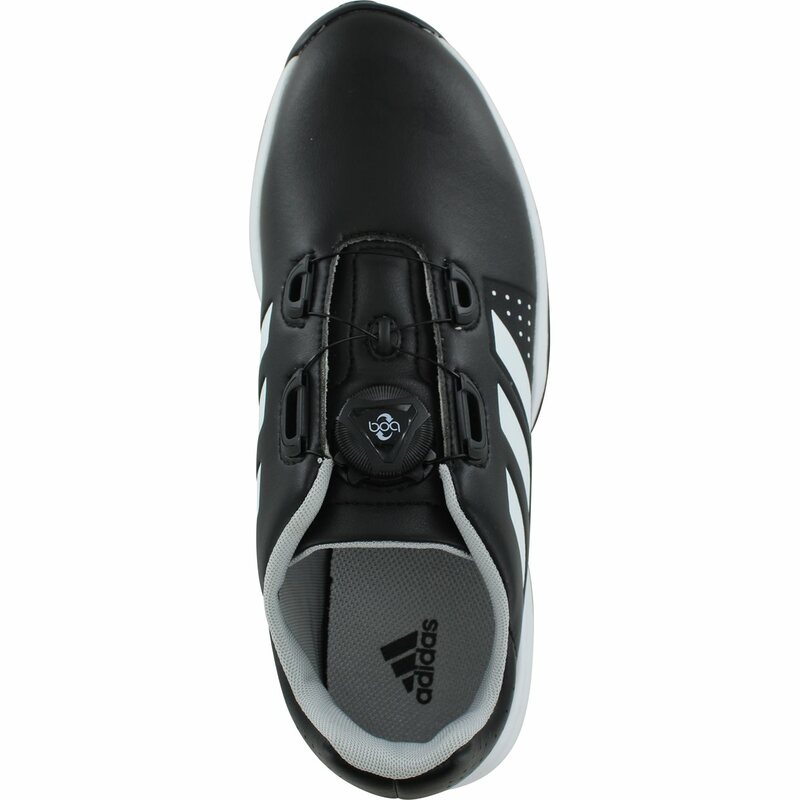 The shoe features a CloudFoam insole that provides ultra-light cushioning for all day comfort and new Performance last that is wider in the forefoot for an improved fit. The adiPower BOA Jr. also features the innovative Boa closure system located at the top of the tongue that provides a customizable and secure fit with a simple turn of the tension dial. 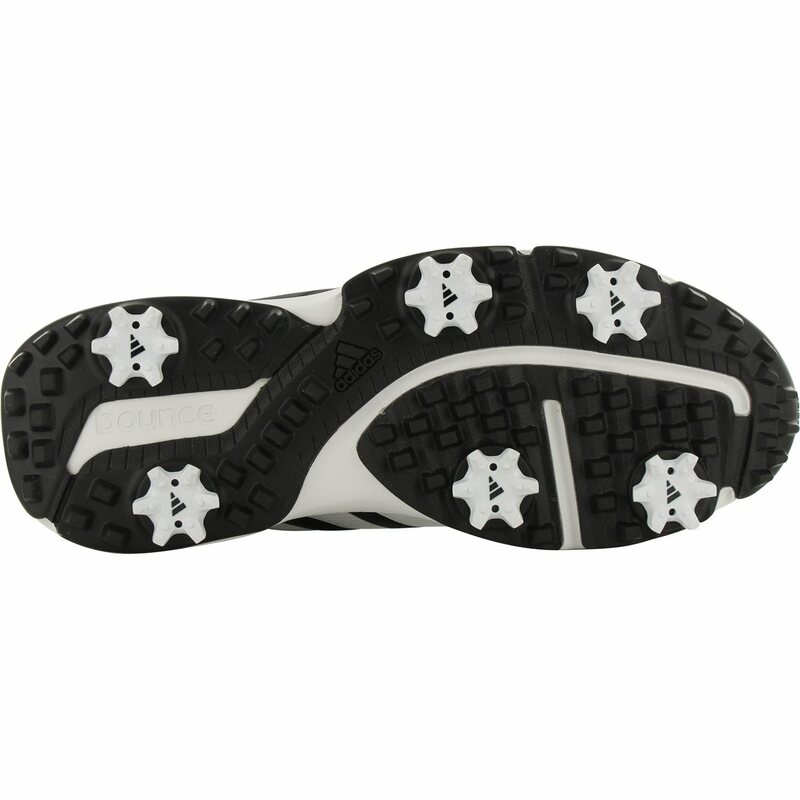 The 6-spike low-profile, thintech EXT outsole coupled with full length Bounce foam delivers the most athletic Junior shoe Adidas has ever created. Boa closure system located at the top of the tongue provides a custom and secure fit with a simple turn of the tension dial.